Celebrate with the Christmas shepherd as you count down to Christmas with this Nativity advent gift idea. Give a nativity character and sweet treat each day to help bring a little Christ into Christmas. 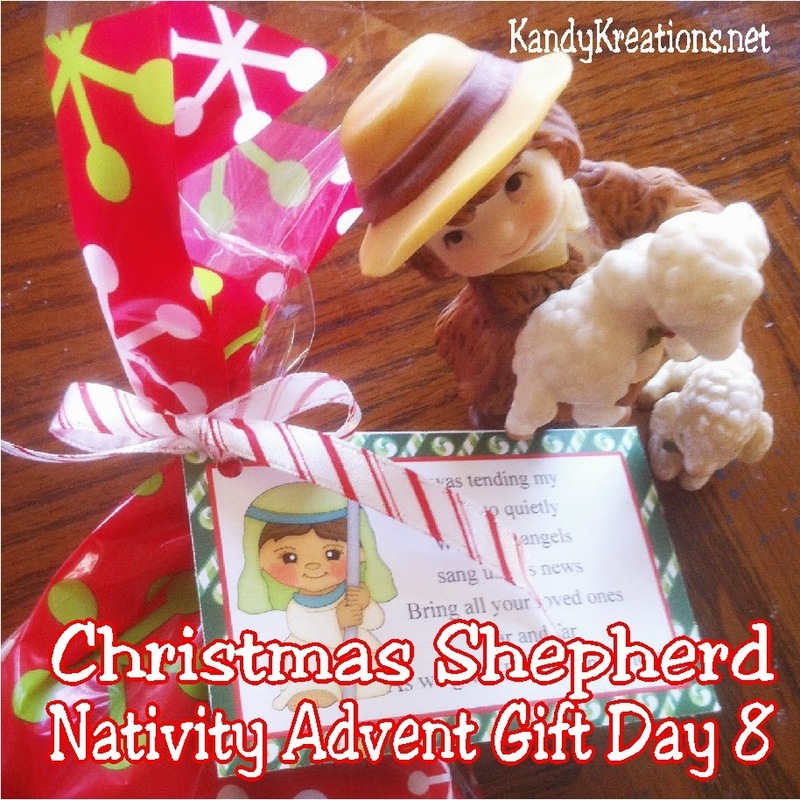 Day 8 is the last of the Christmas shepherds and his chocolate sheep patties Christmas candy. Do you imagine after hearing the angles sing that the shepherds wanted to run and tell everyone one they knew? I do. I know that I would want to shout to the world about the newborn King and his future that would save us all from our sins. As we give Him our sins to lose. Do you think he also wanted to share something special from that momentous occasion? And what does a shepherd have more to give than Sheep Patties. 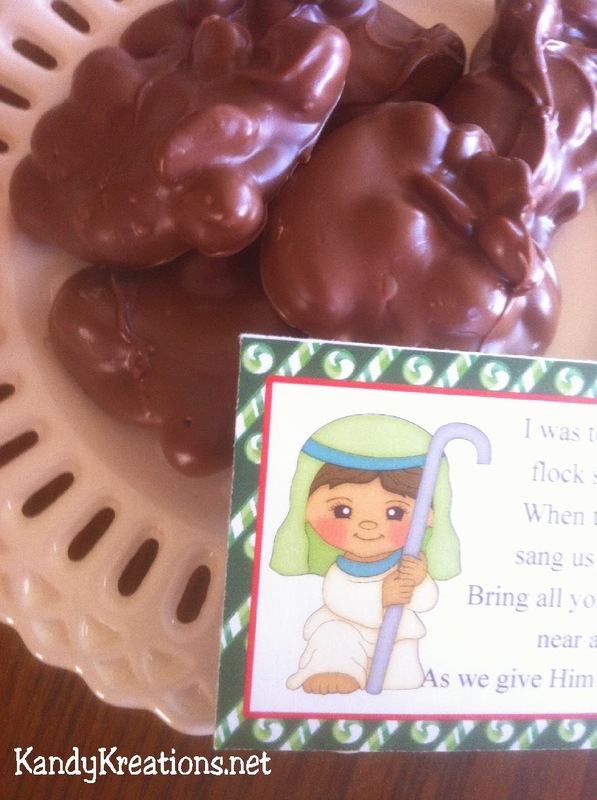 So I made some Christmas Candy chocolate sheep patties for the Shepherd to give on day 8. Now you can certainly go and buy some Peanut clusters, but with the spirit of Christmas in the air, I thought I would make my own easy Christmas candy to give. Start with 2 cups of milk chocolate wafer melts. Pour these into a microwave safe dish and melt on 50 percent power for 2 minutes. Stir. 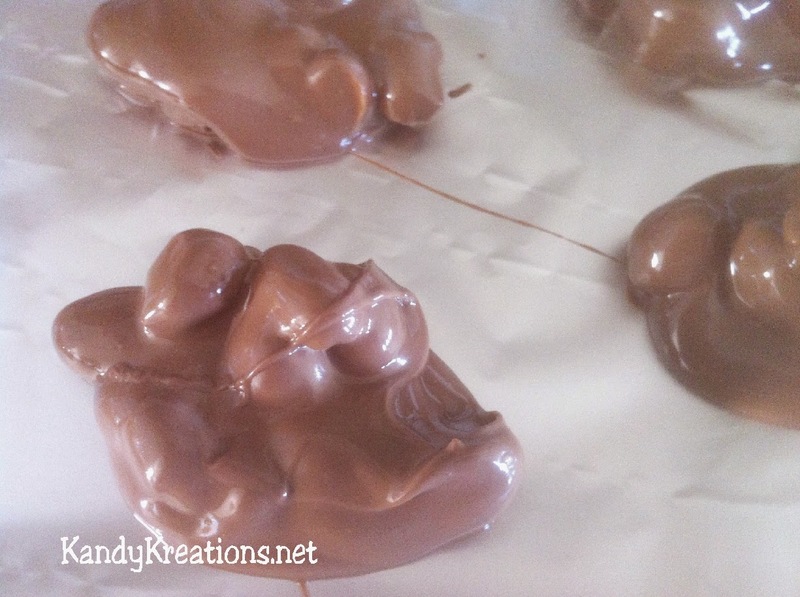 Melt again at 30 second increments and 50 percent power until the chocolate is all melted. Be careful, the only thing worse than smelling sheep patties is smelling burnt chocolate! 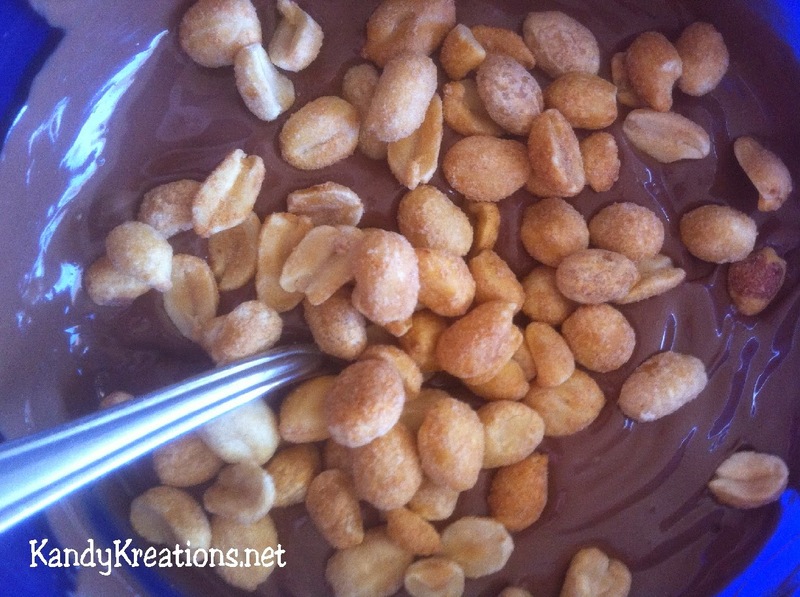 Add a cup of peanuts into your melted chocolate and stir well. 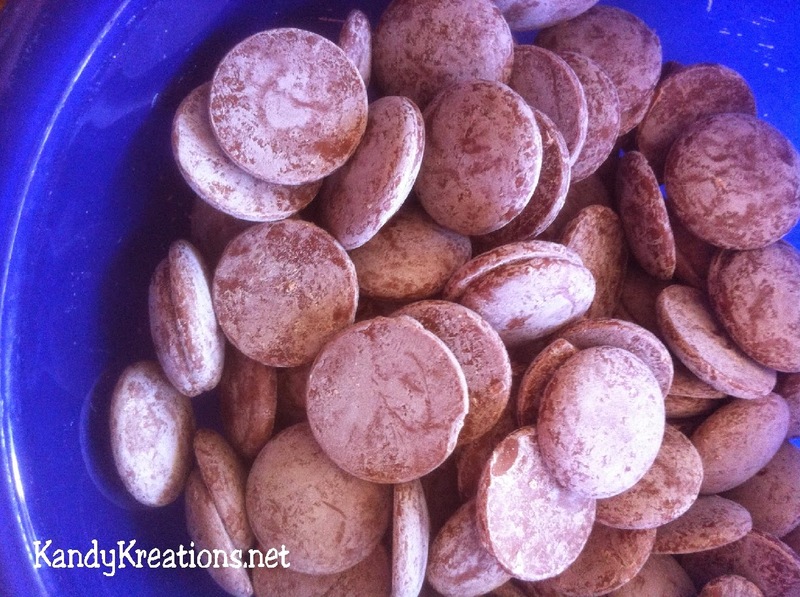 Drop by spoonful onto wax paper and allow your Christmas candy to harden. It should take about 20 minutes or so. 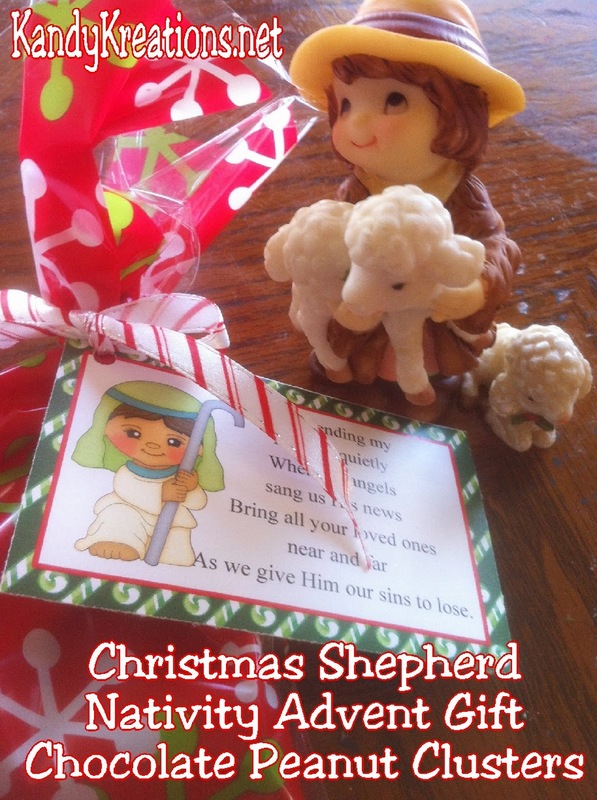 Add your sheep patties to a Christmas bag, add the Shepherd tag, and give away your Christmas candy and advent gift to all your neighbors, friends, class, and loved ones.